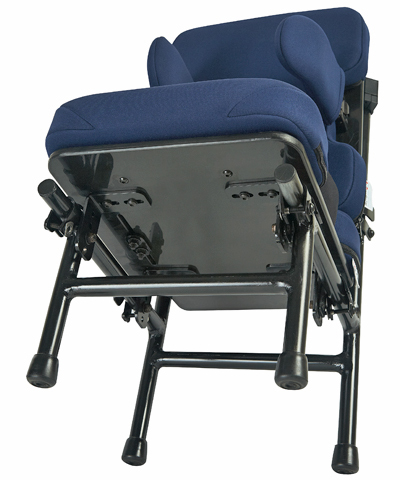 Bio ST Custom Heavy Duty Solid Seat Insert, up to 15" in width and depth. 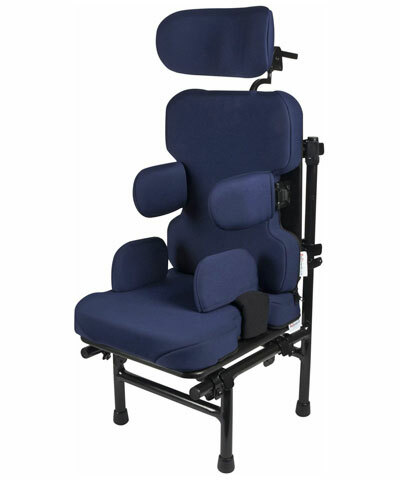 A foam module is attached to an interface plate which is secured to the wheelchair. The foam module consists of a Medium Foam Package (1" Soft Sunmate on 1" Medium Sunmate), a ¼" of HDPE (High Density Polyethylene) and a zippered Black Neoprene (Rubatex) cover. 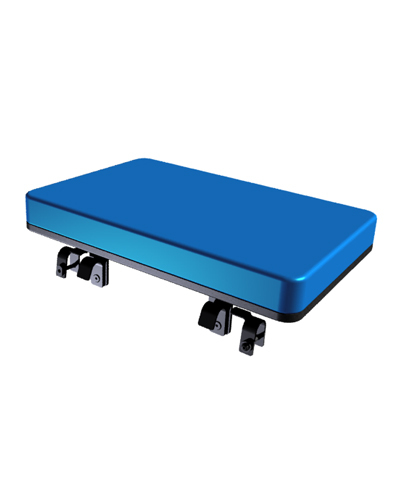 The interface plate is made of ½" HDPE and secured by height and angle adjustable steel mounting hardware (standard duty 4ea. L-Brackets w/4 holes, 4ea. J-Hooks w/1 countersunk hole & 4ea. horseshoe clamps for 1" tubing). If color other than Black Neoprene is desired, replace the last two letters of the model number (NB) with those from Color Selection section. i.e.- HS09-NB becomes HS09-NE when color Eggplant is desired.